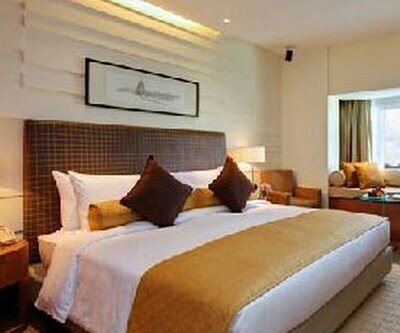 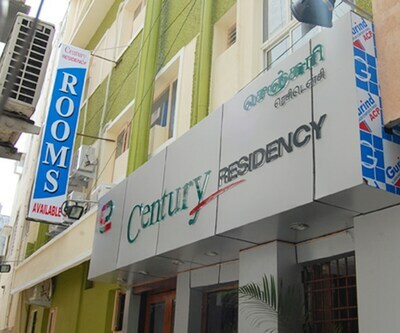 Hotel Century Palace serves its guests complimentary breakfast and offers free Wi-Fi access. 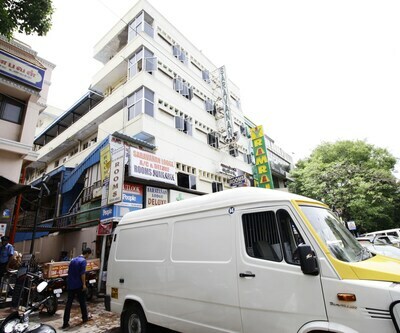 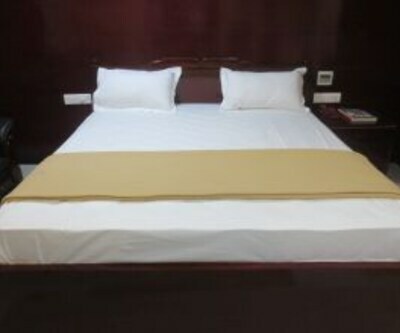 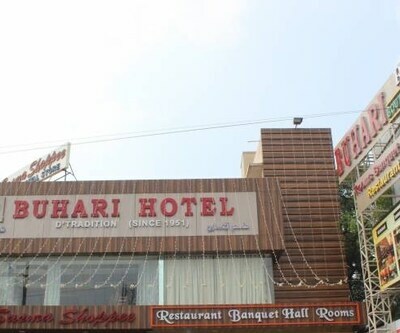 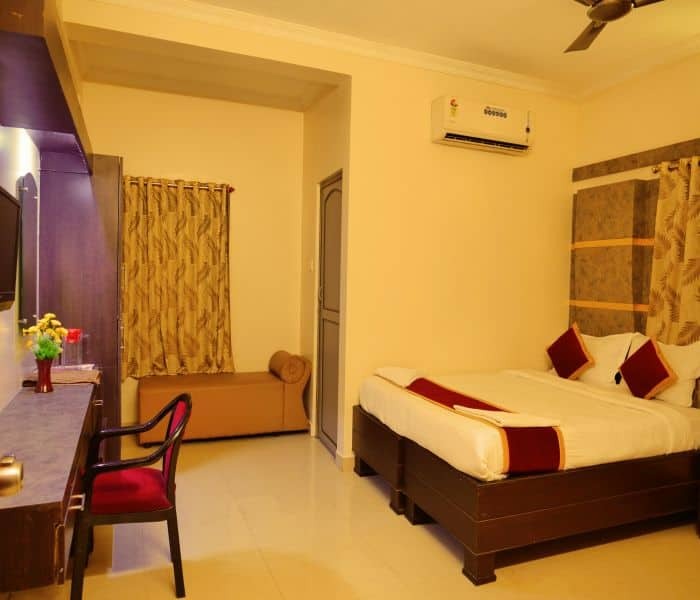 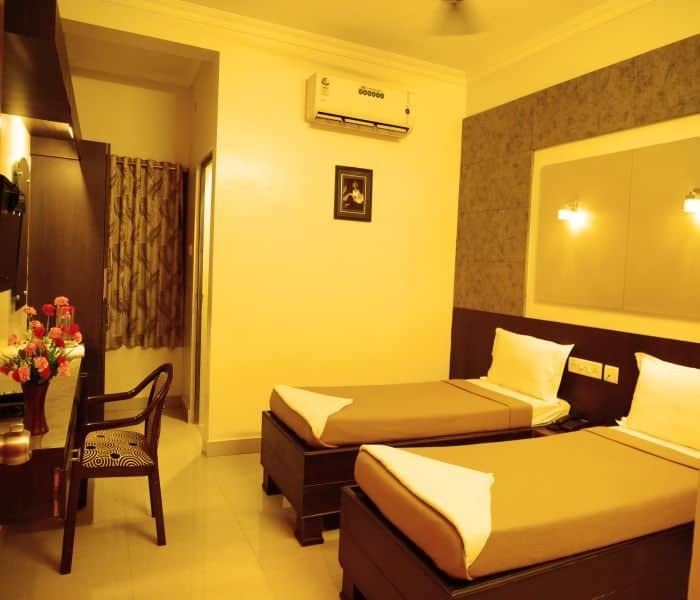 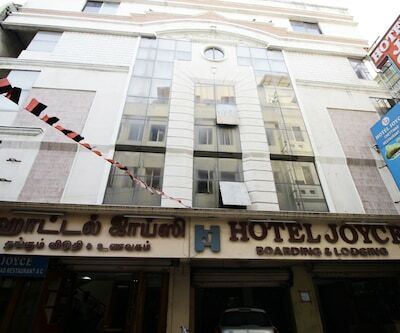 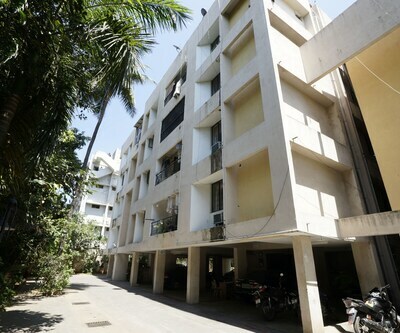 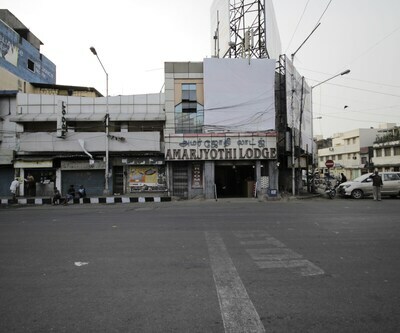 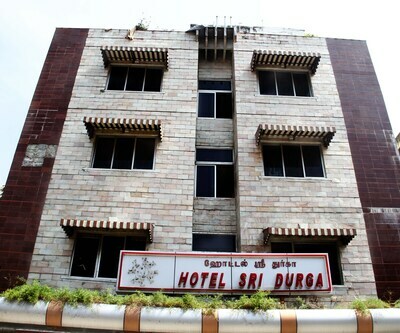 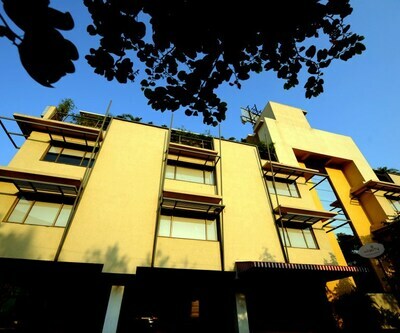 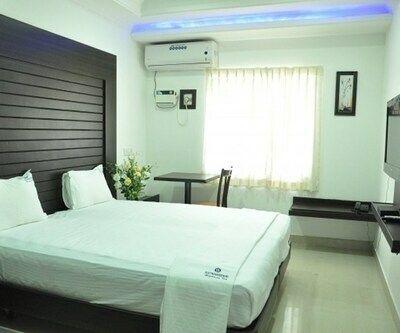 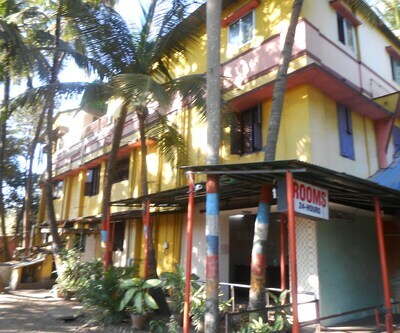 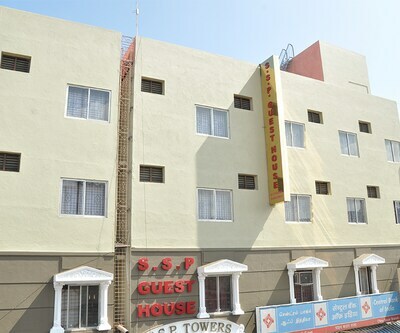 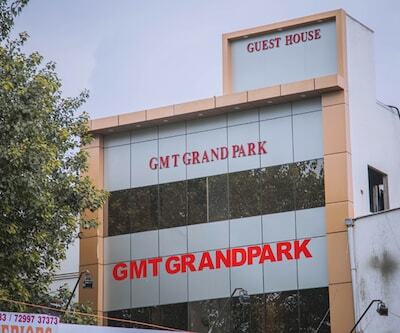 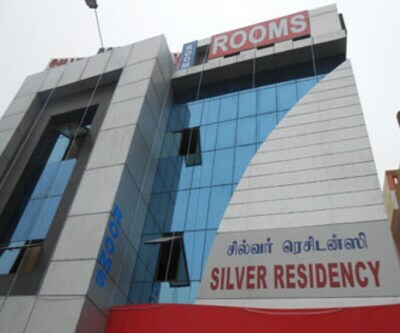 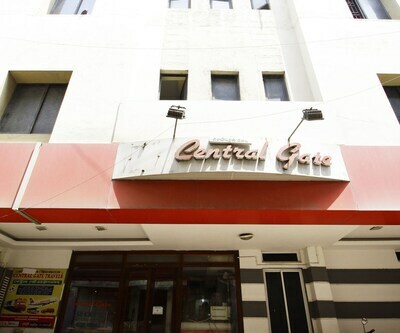 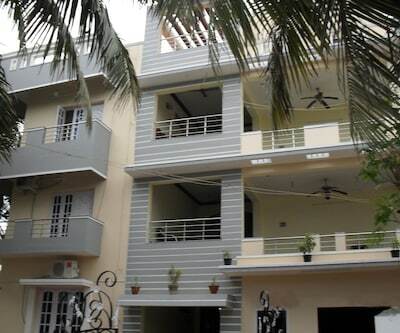 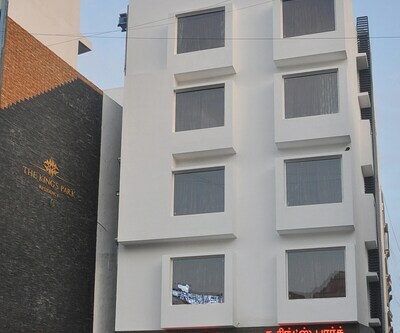 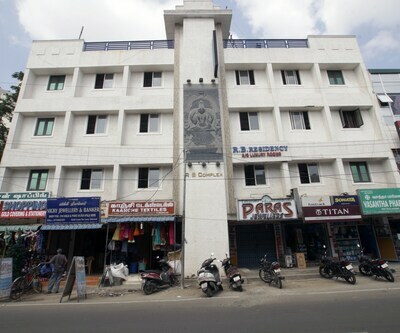 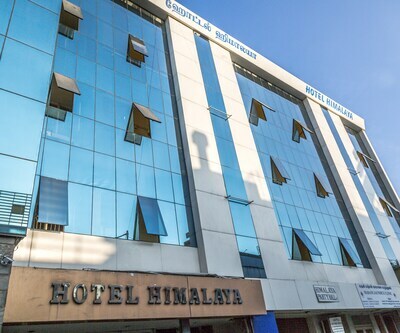 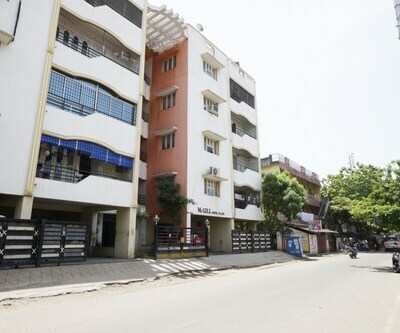 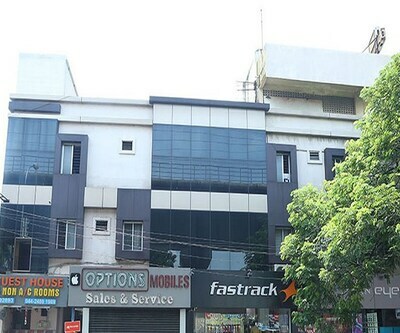 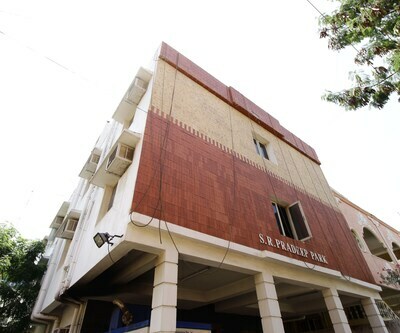 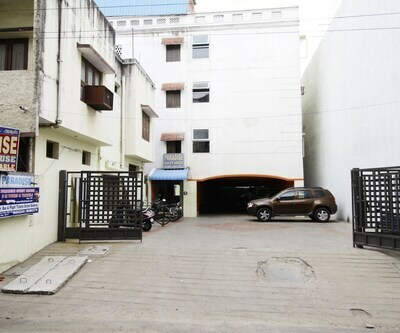 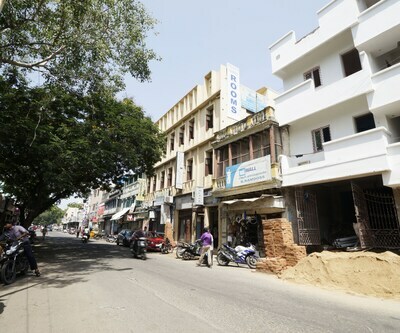 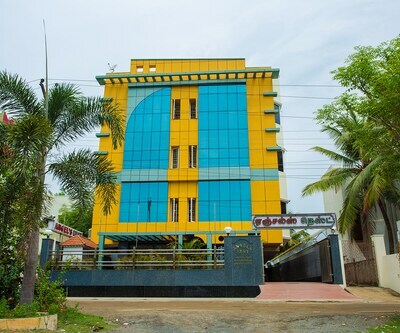 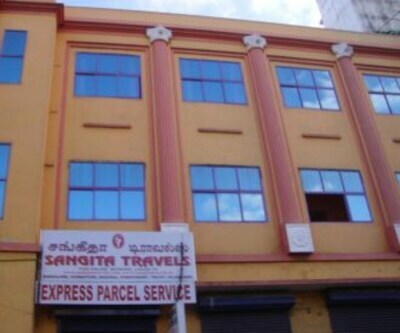 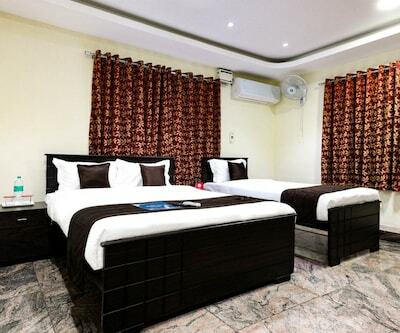 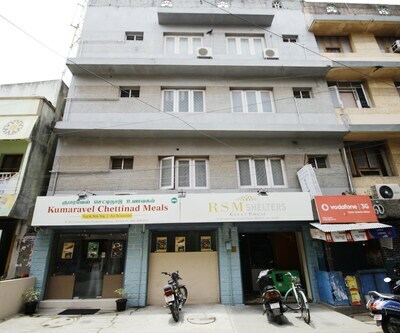 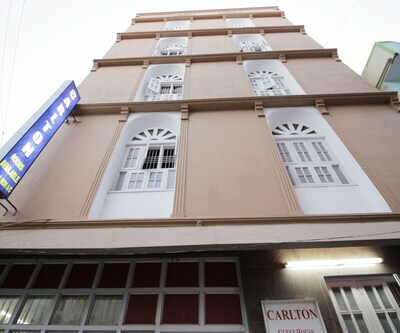 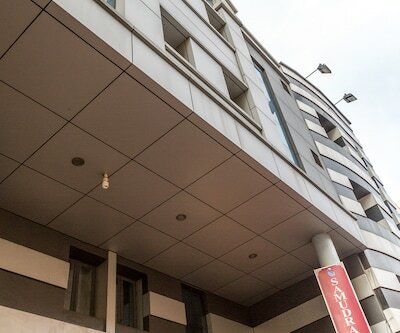 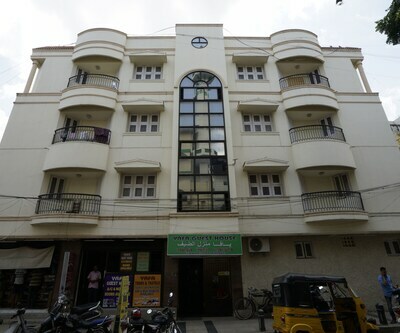 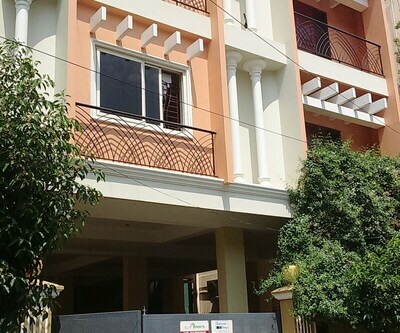 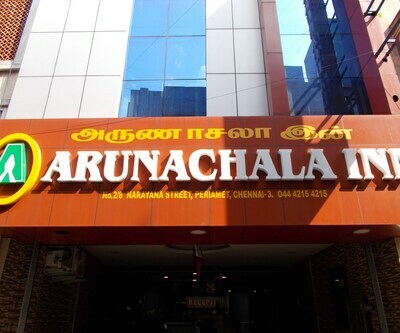 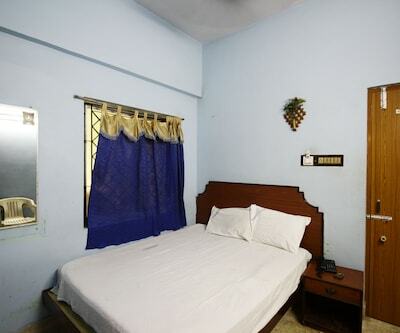 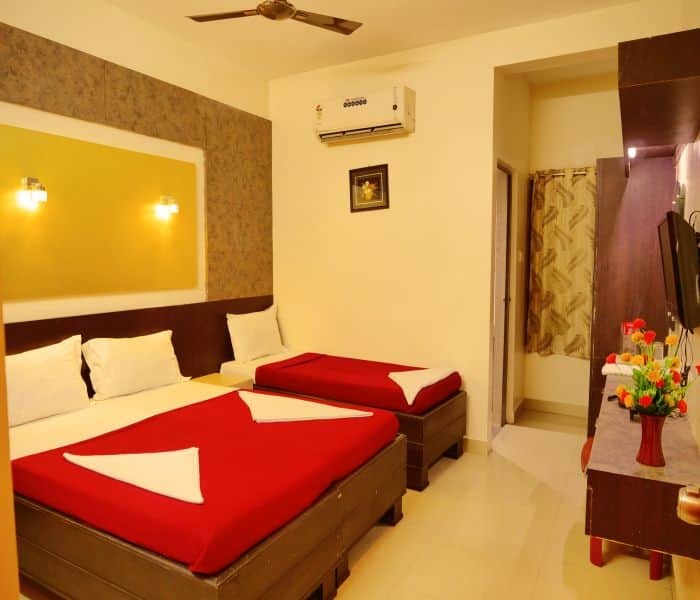 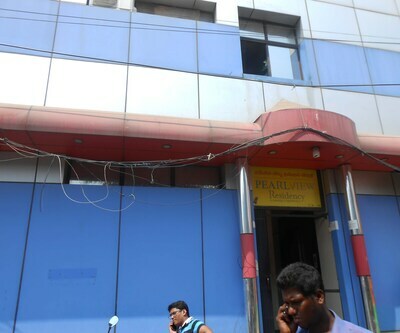 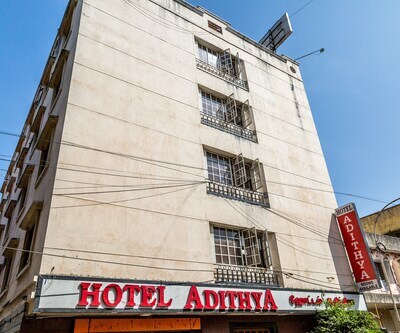 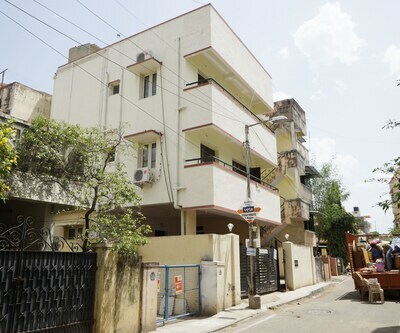 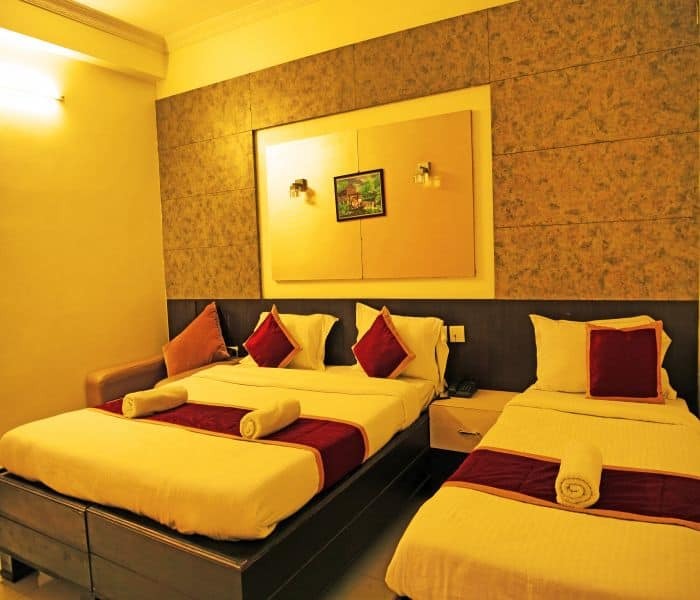 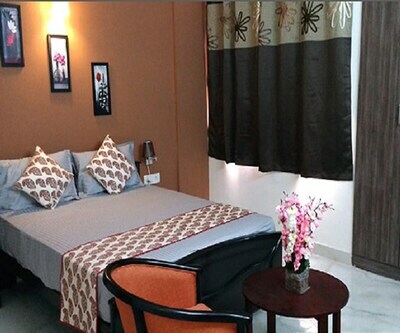 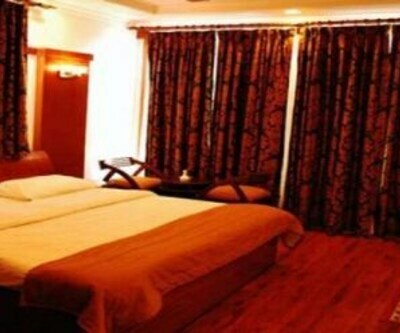 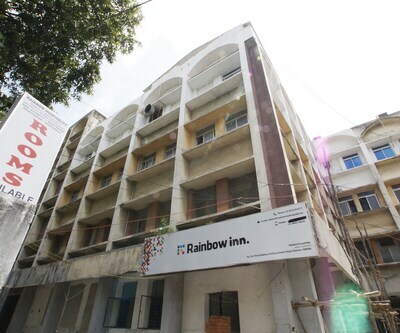 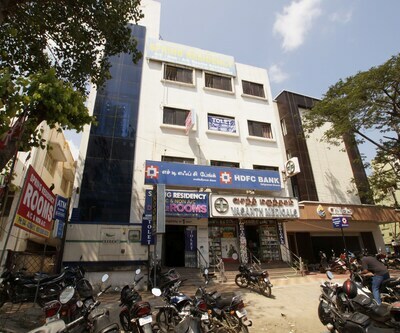 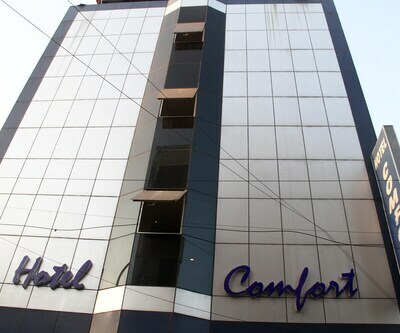 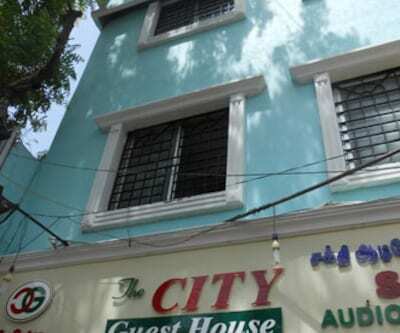 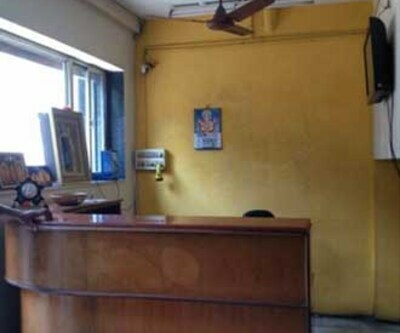 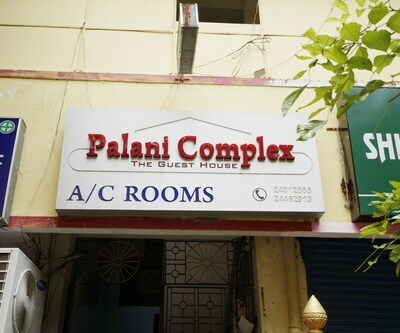 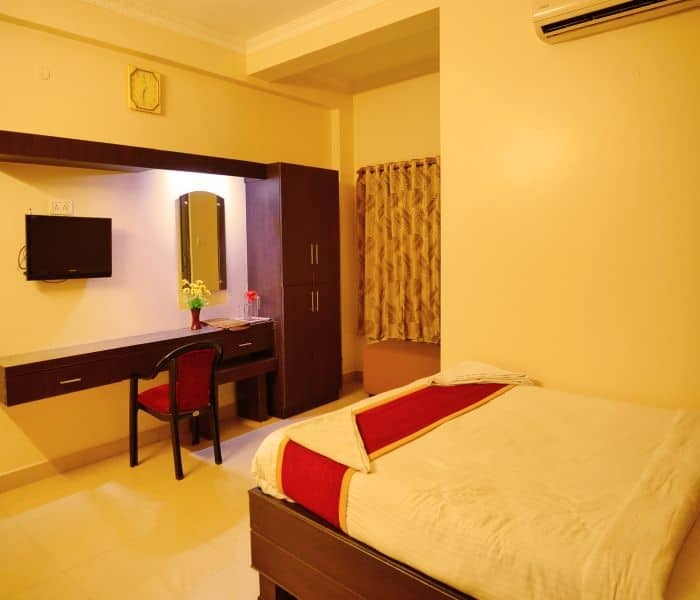 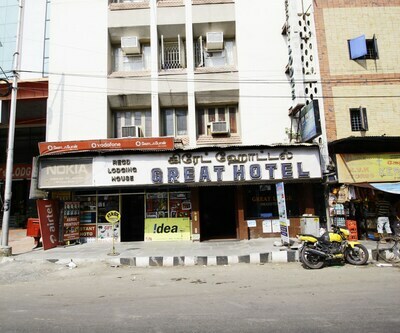 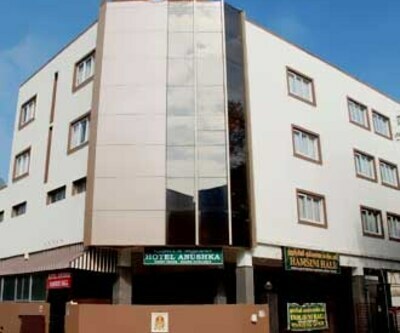 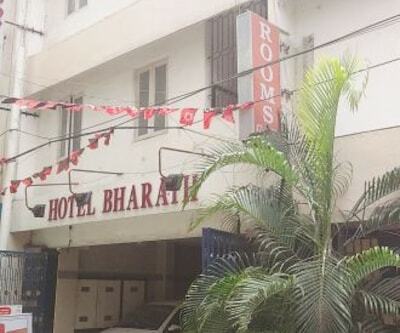 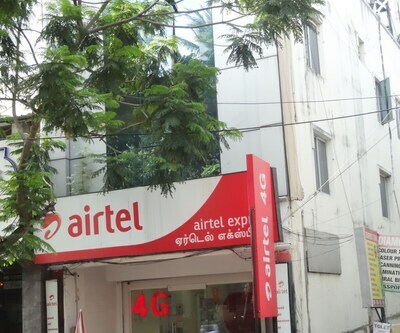 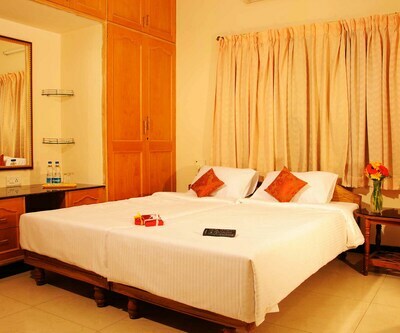 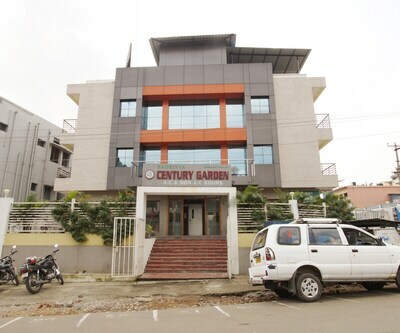 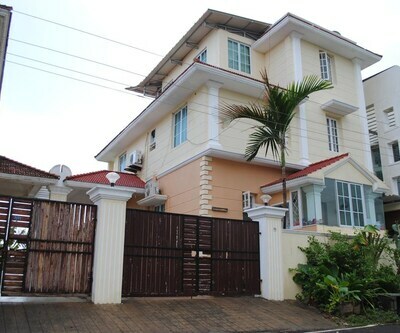 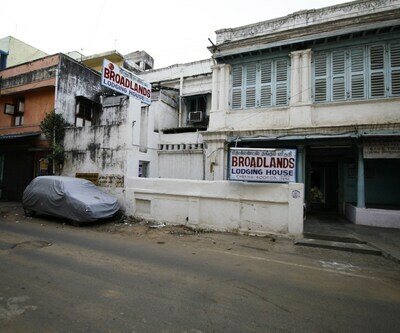 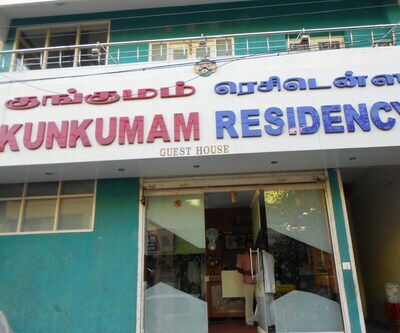 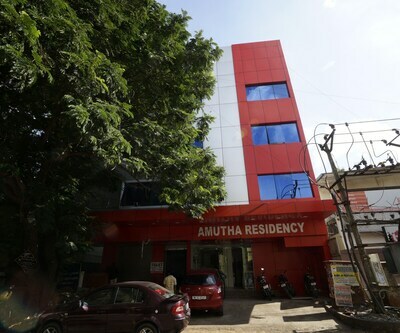 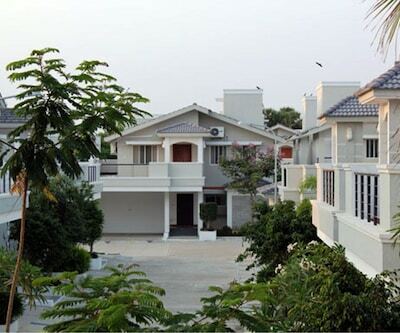 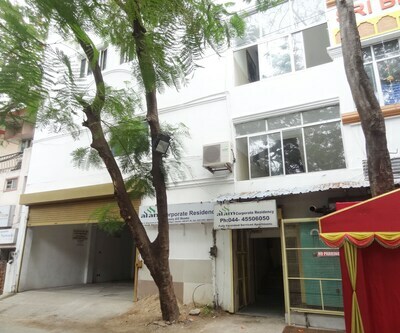 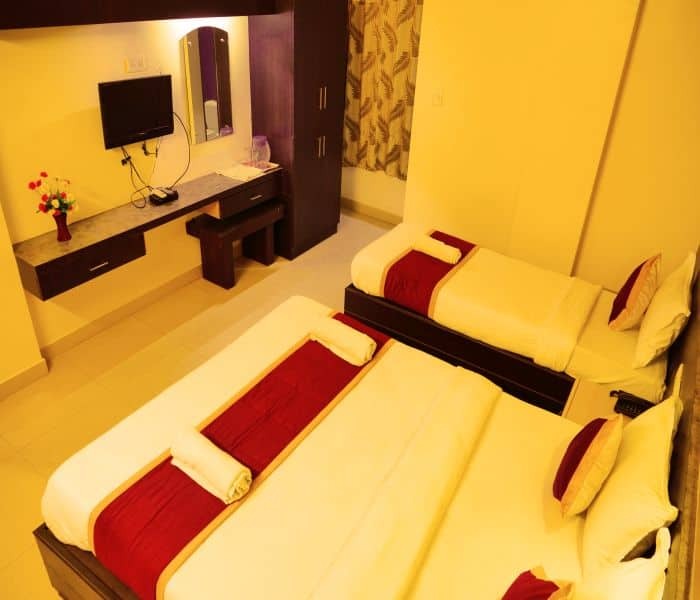 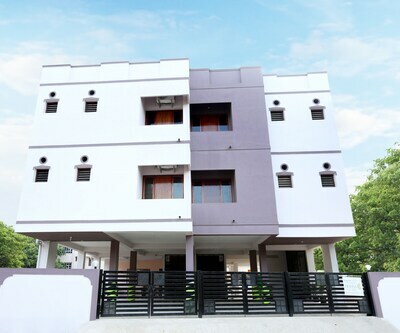 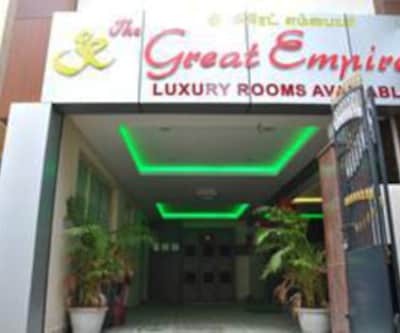 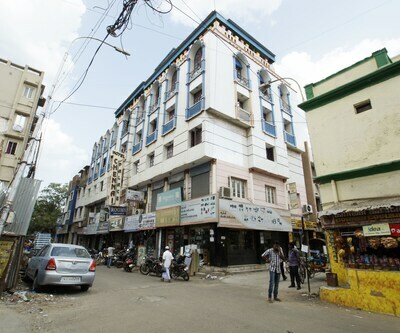 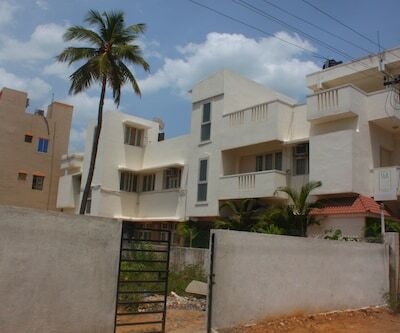 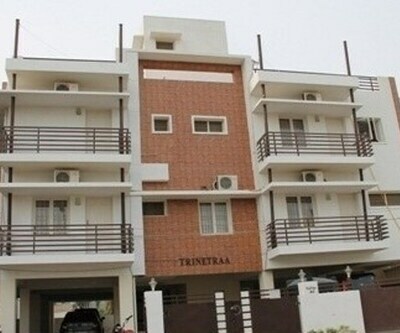 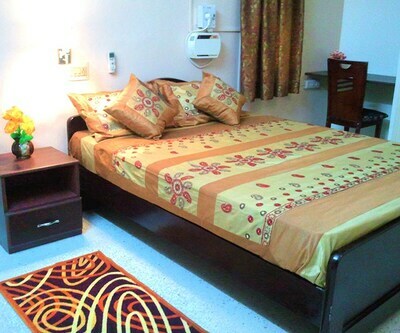 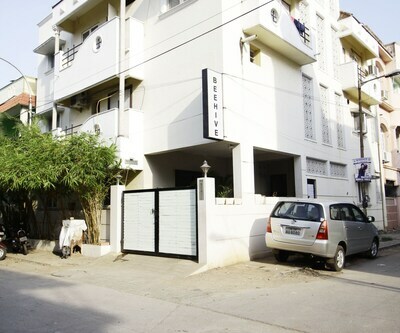 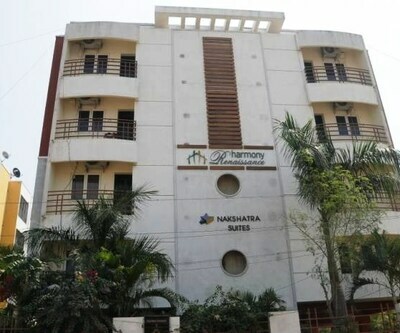 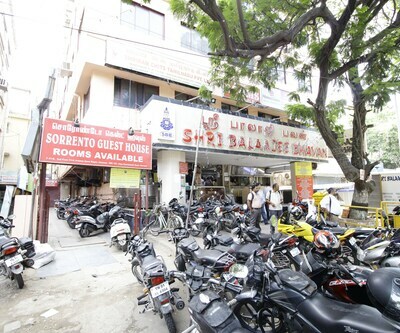 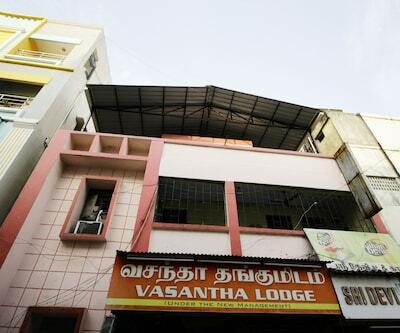 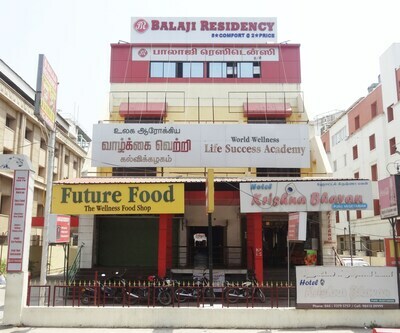 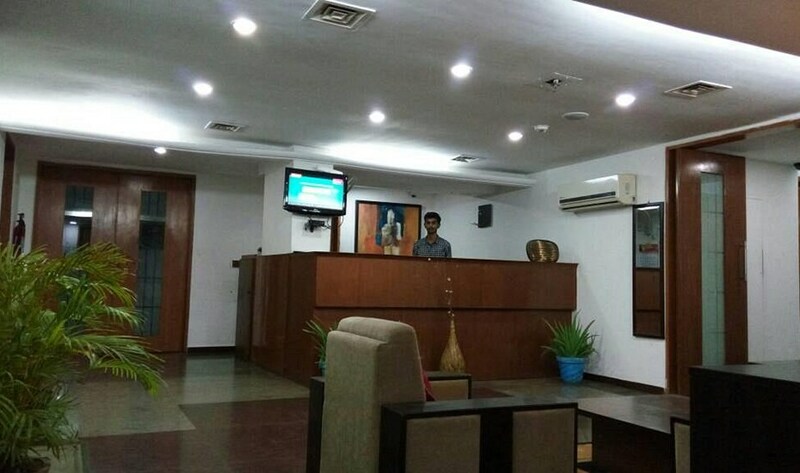 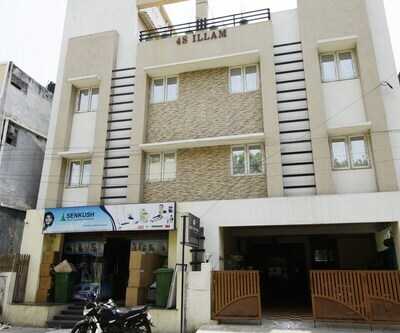 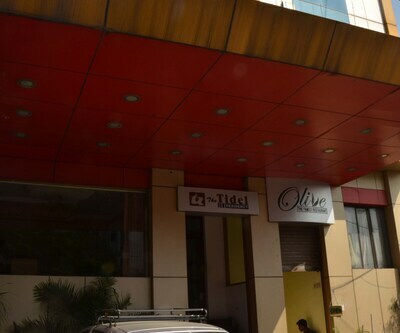 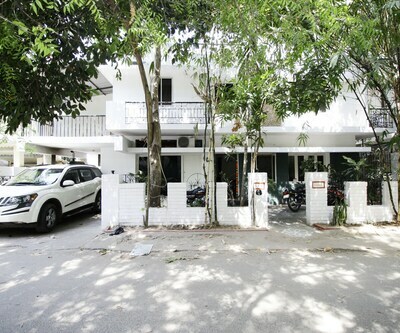 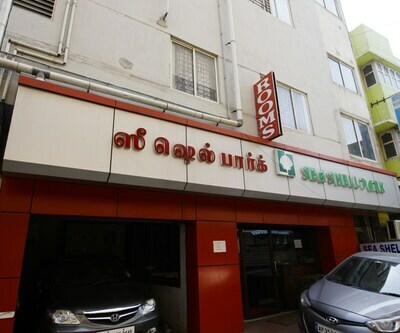 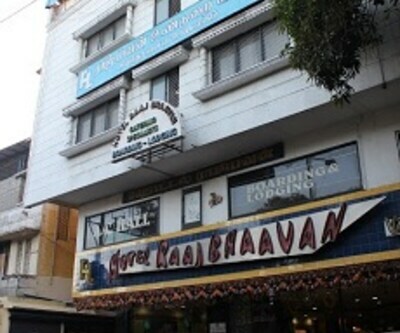 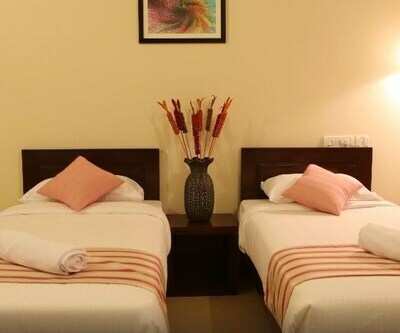 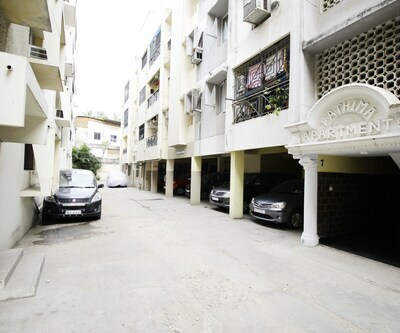 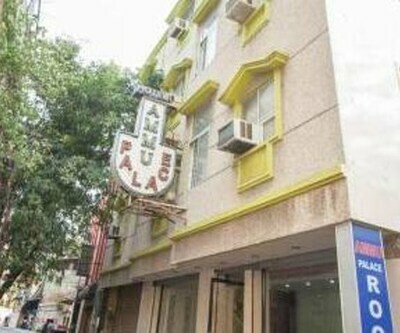 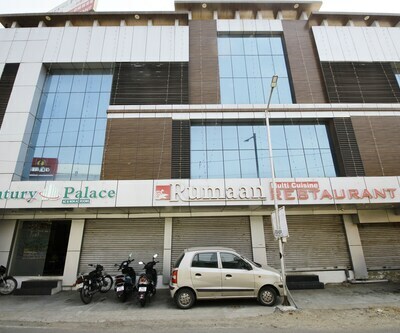 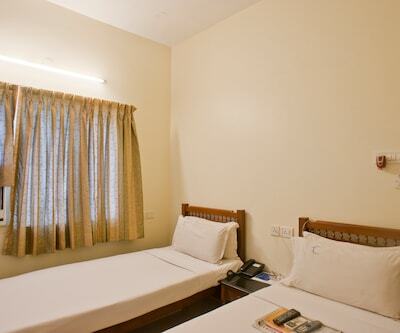 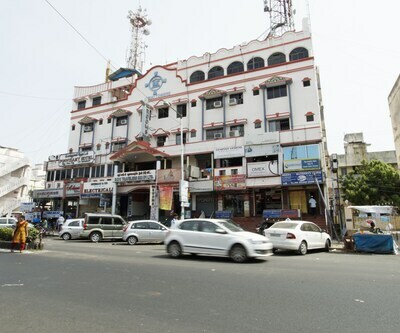 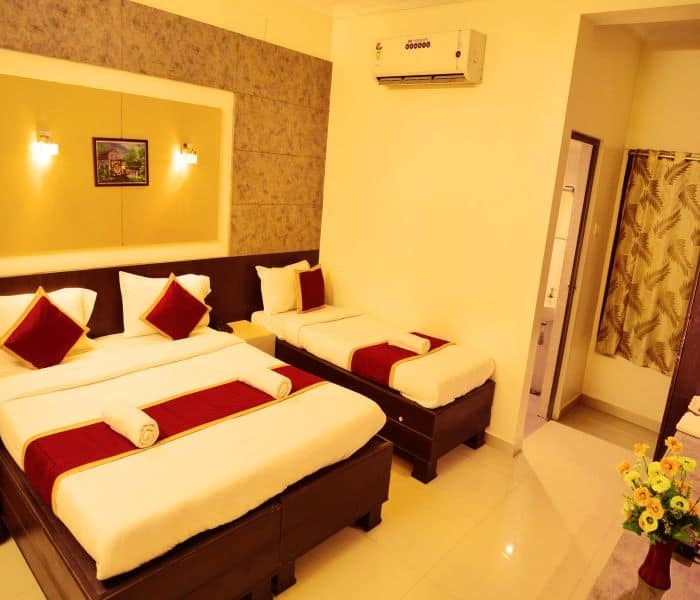 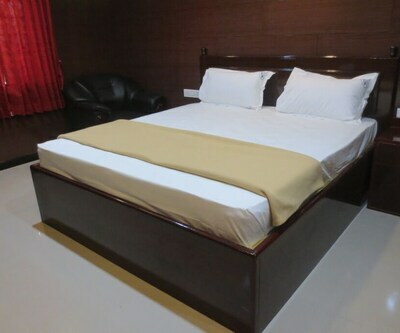 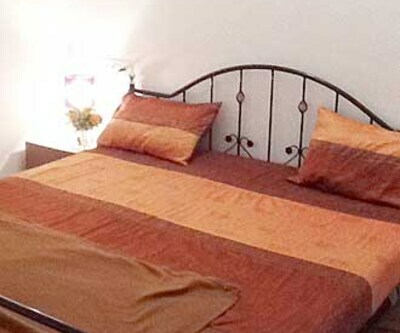 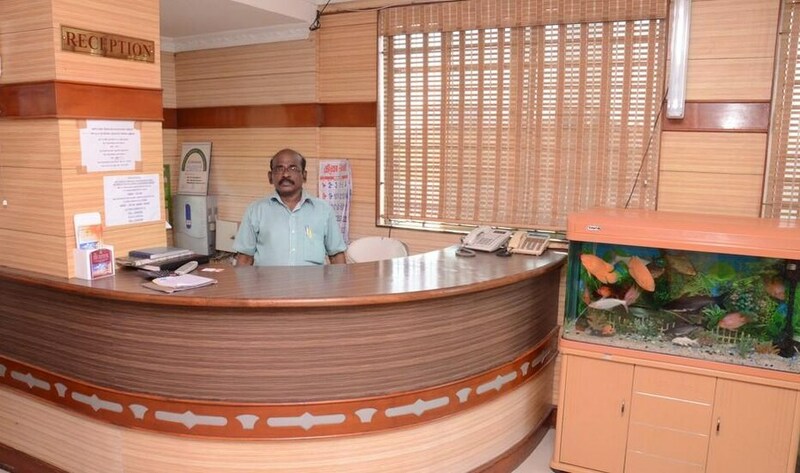 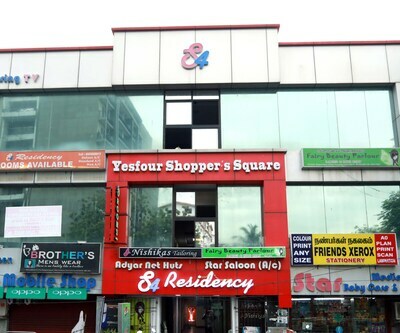 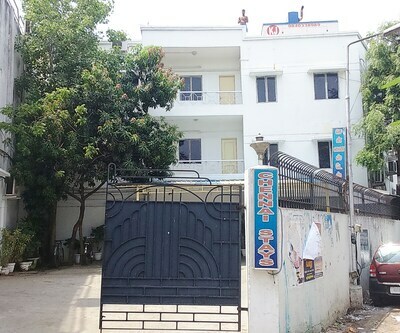 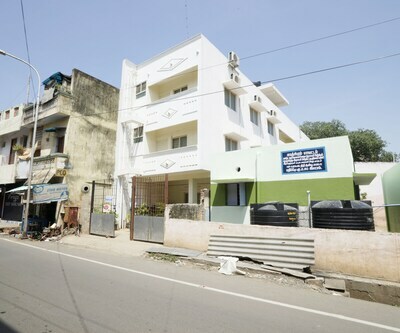 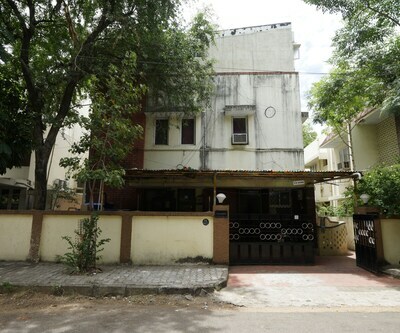 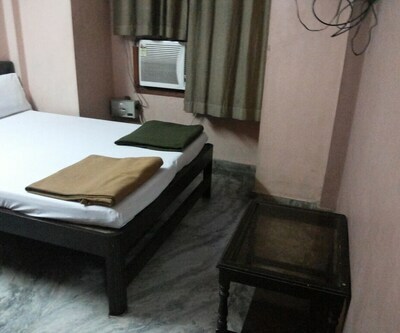 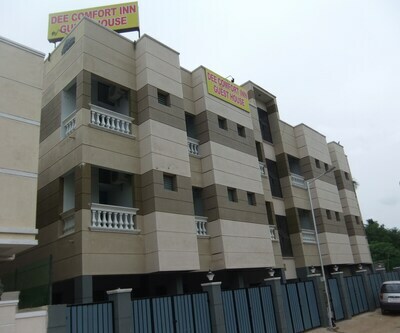 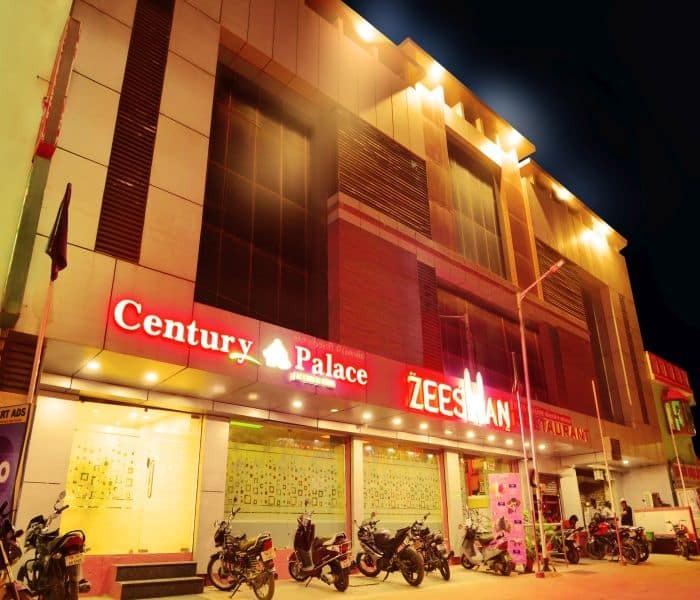 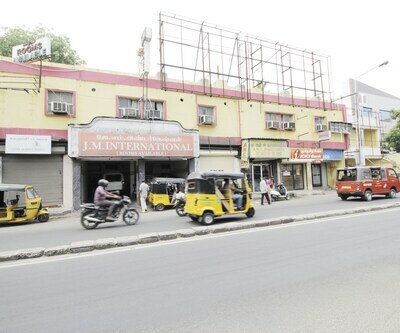 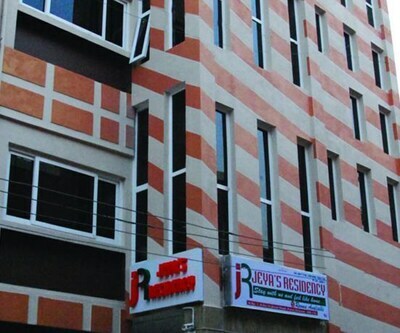 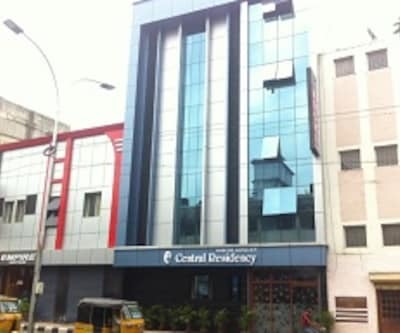 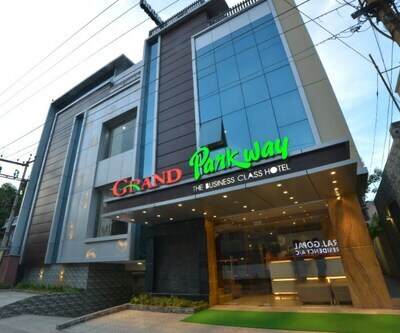 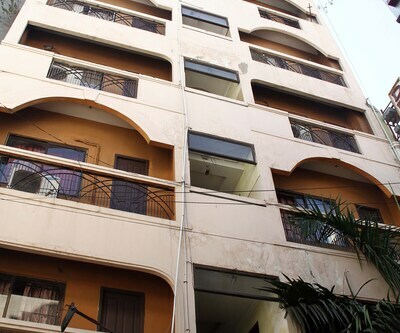 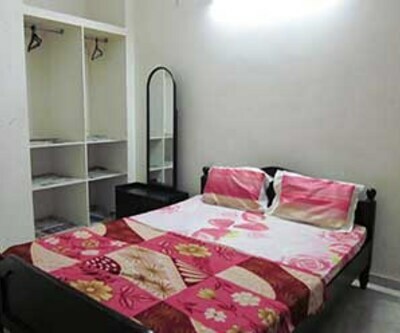 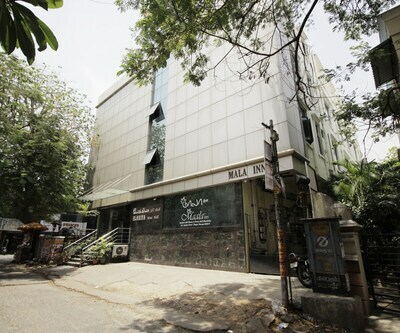 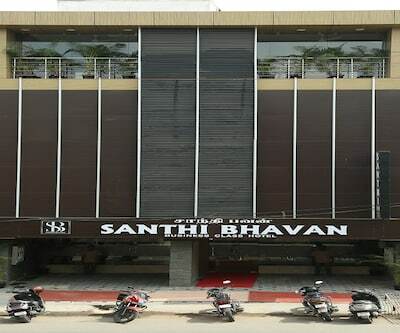 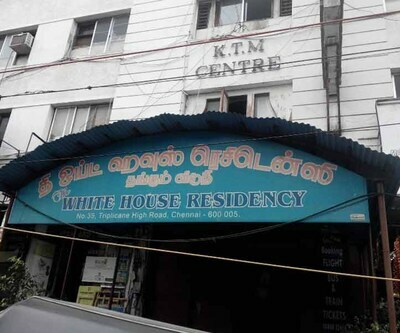 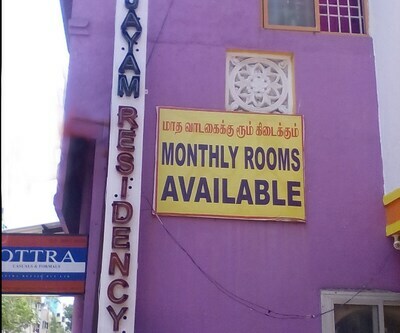 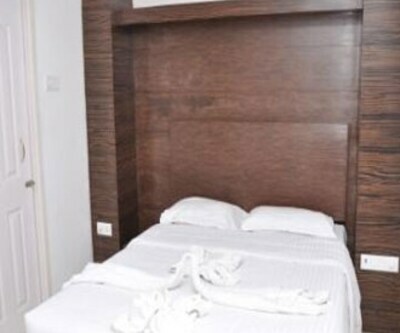 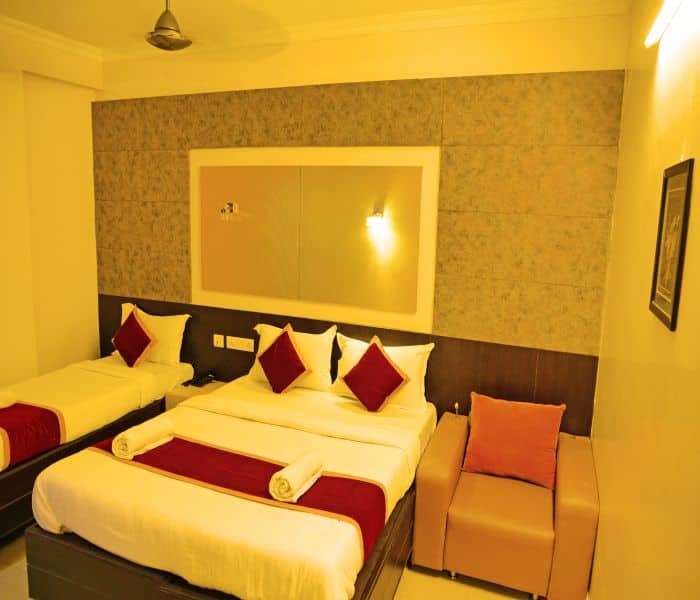 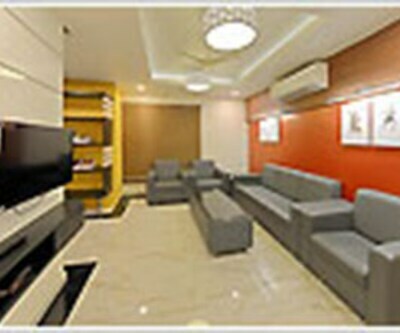 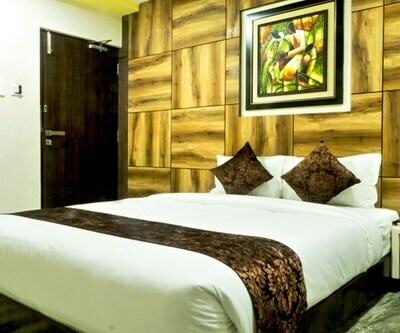 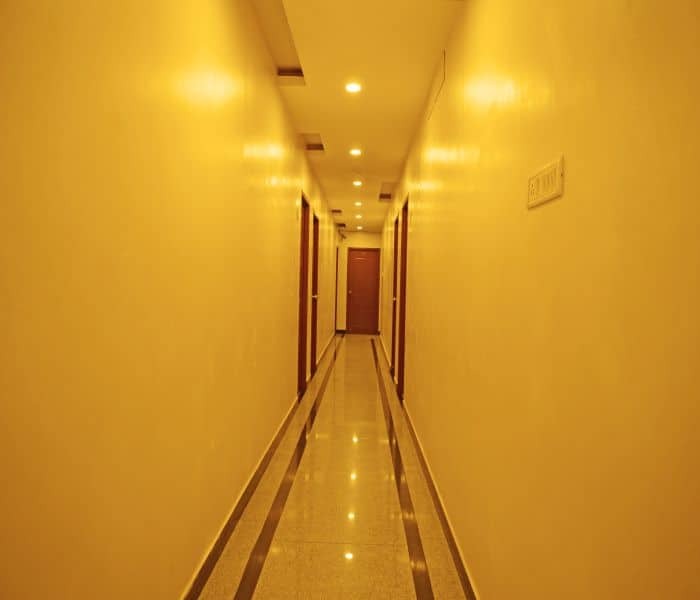 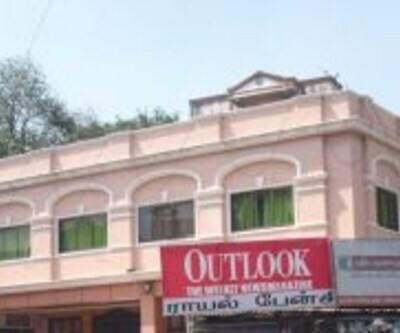 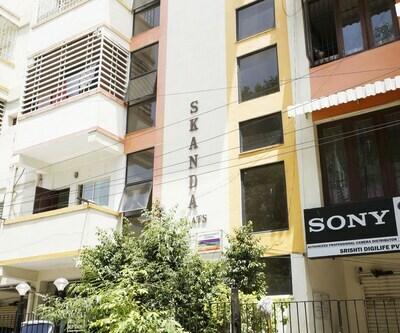 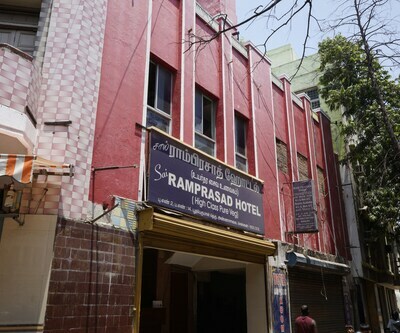 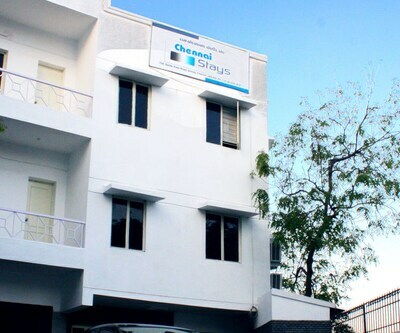 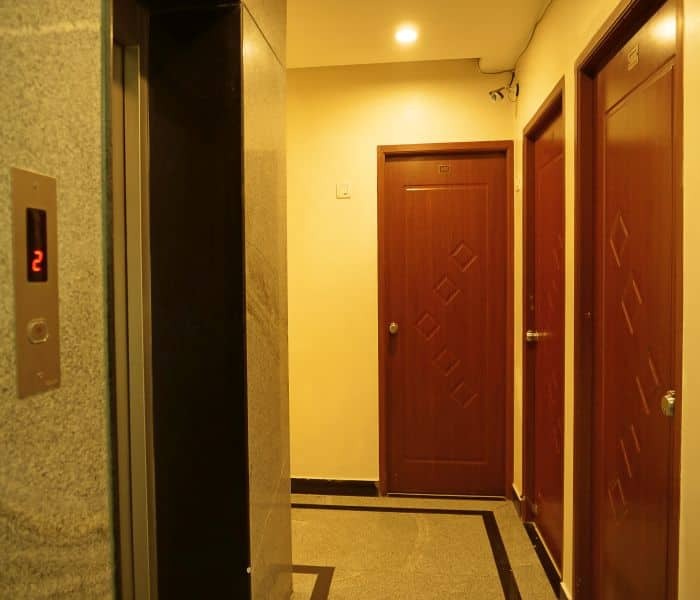 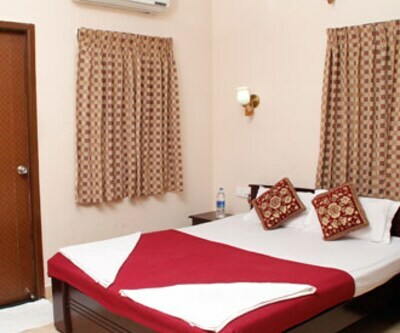 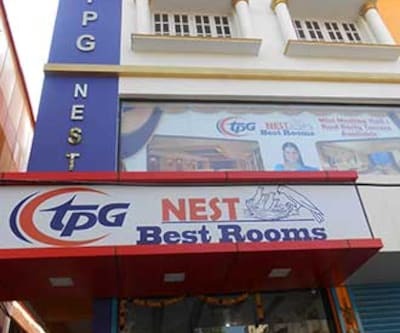 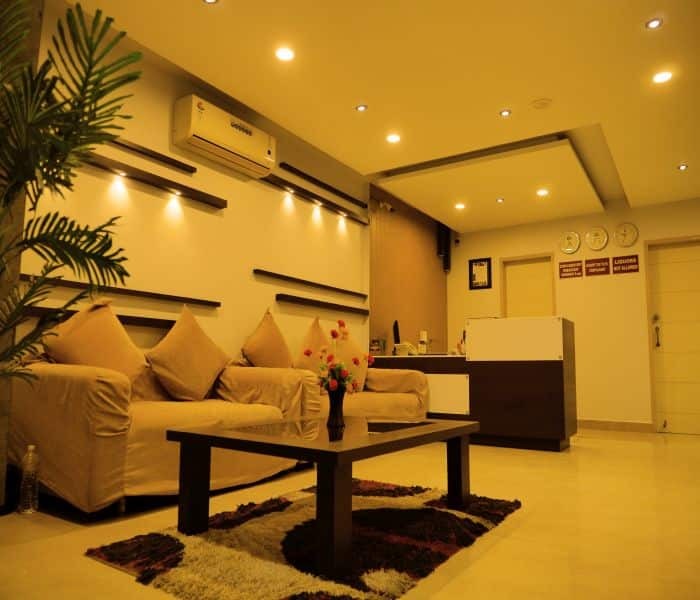 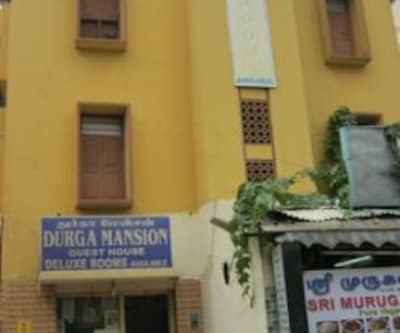 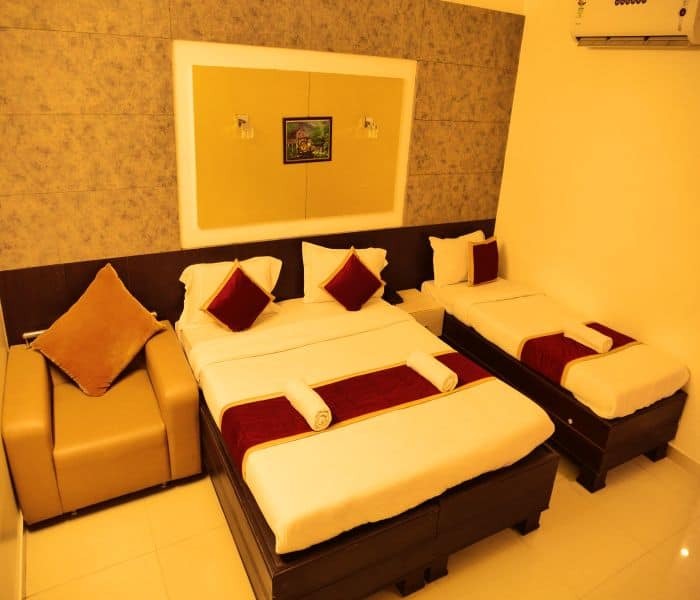 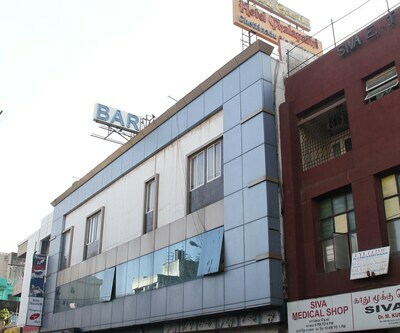 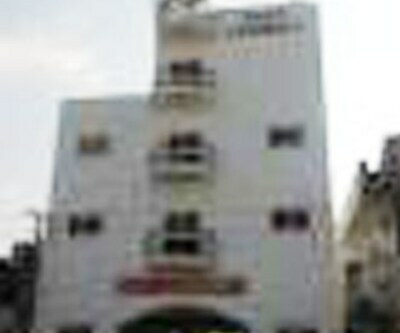 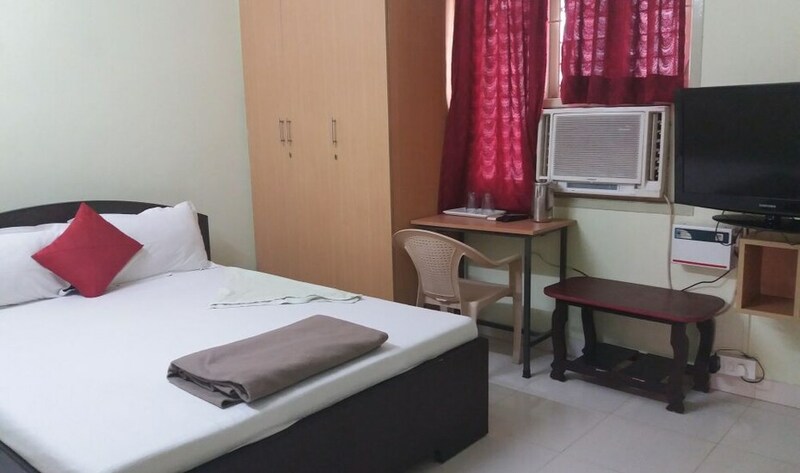 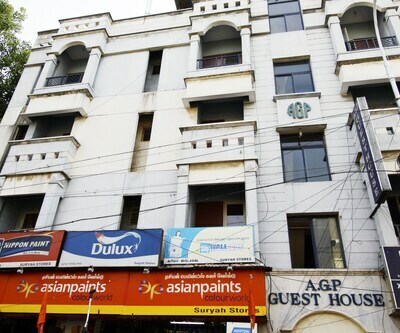 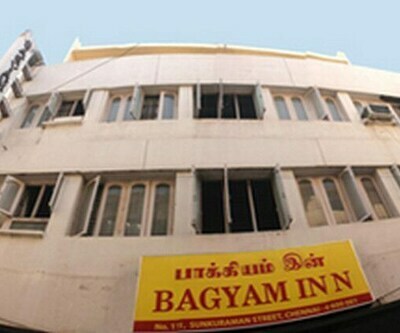 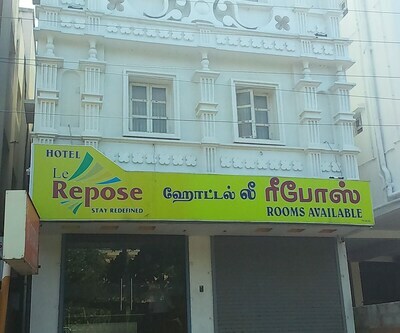 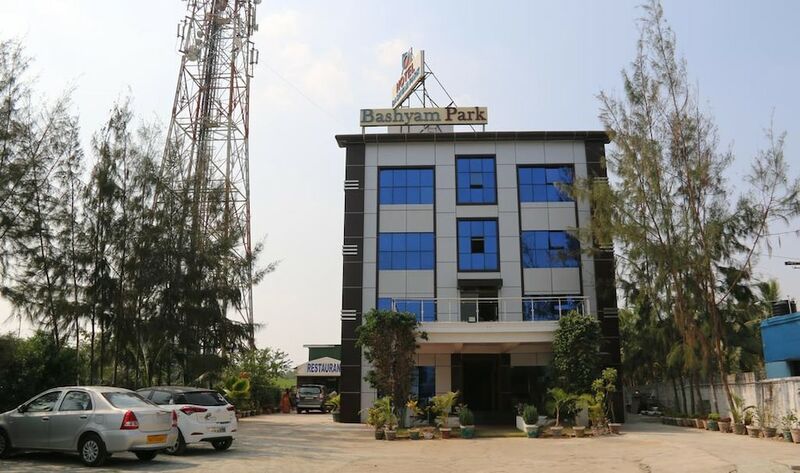 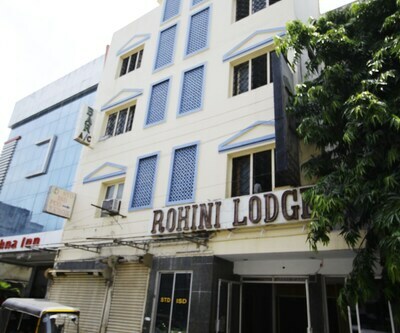 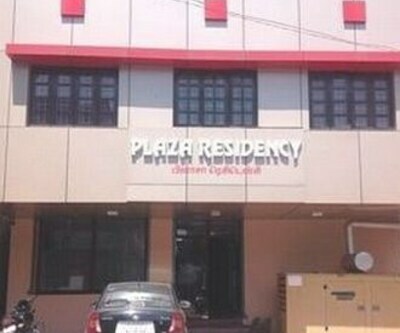 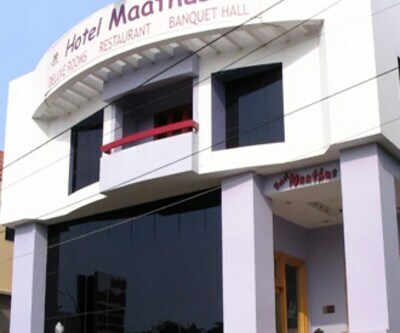 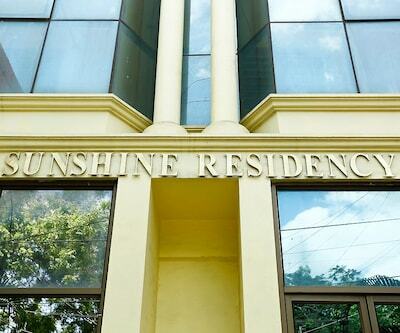 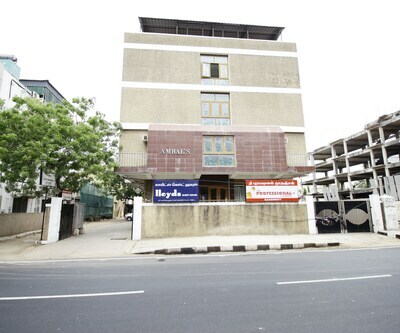 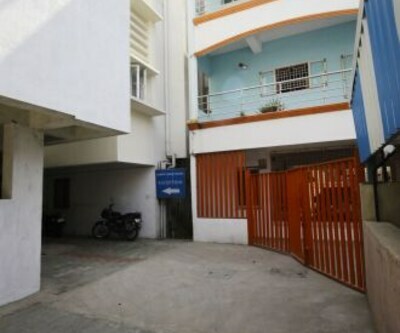 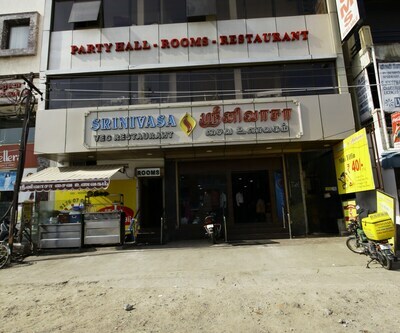 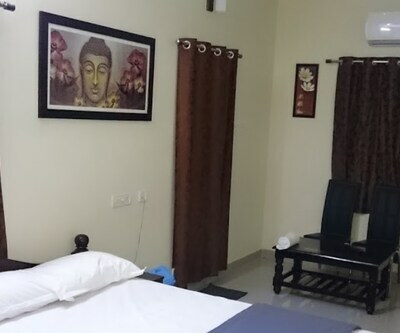 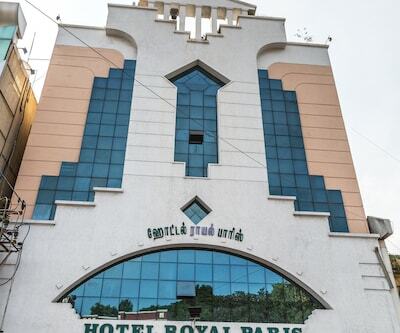 This hotel in Chennai is located at 13 km from the Kodambakkam Railway Station and 10 km from the Kapeeleshwara Temple. 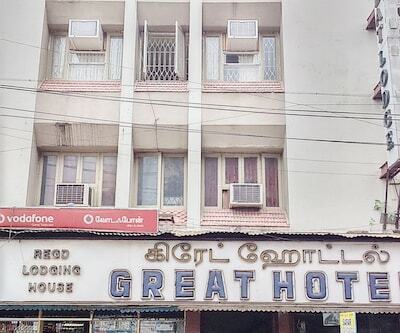 This 2-floor hotel has 22 rooms with bathrooms. 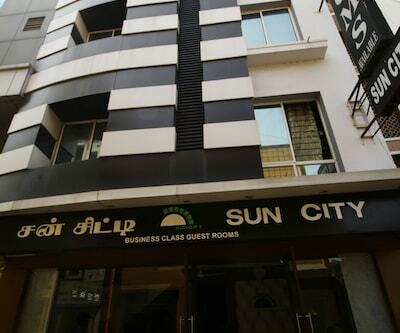 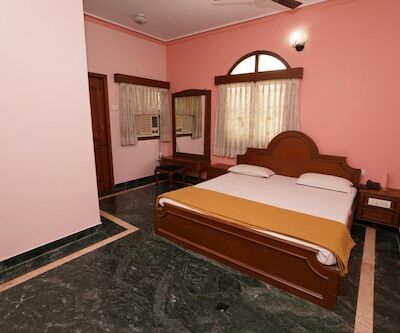 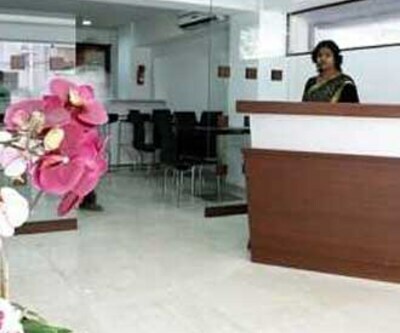 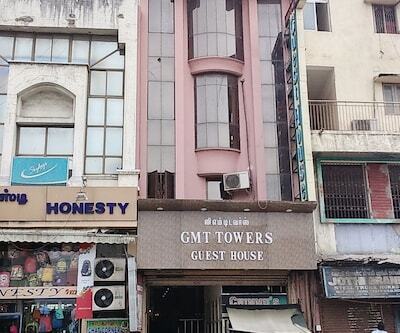 All the rooms have color satellite televisions.The Chennai hotel has a front desk and lifts. 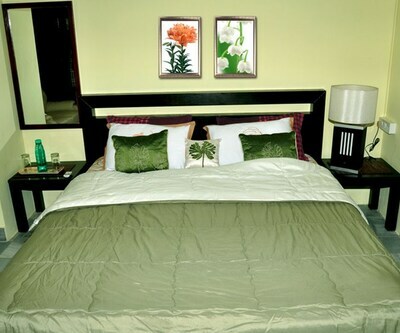 Guests can avail of airport transfer service, laundry service, and medical assistance. 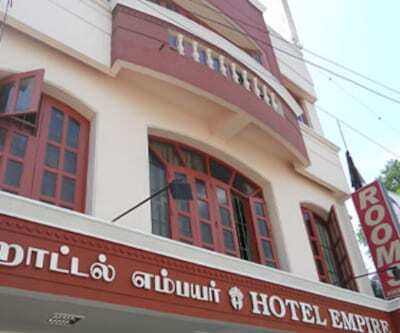 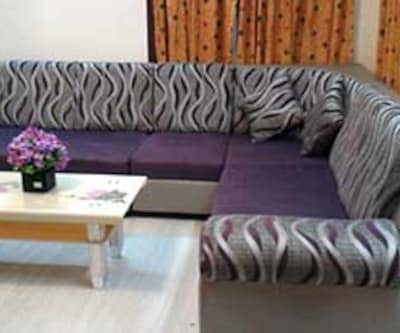 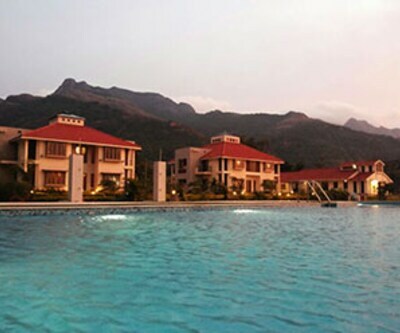 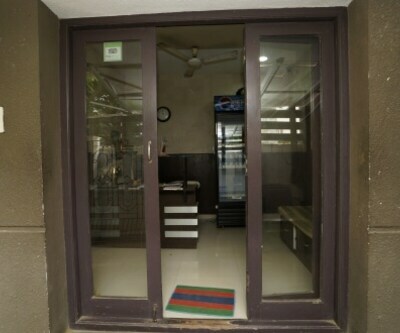 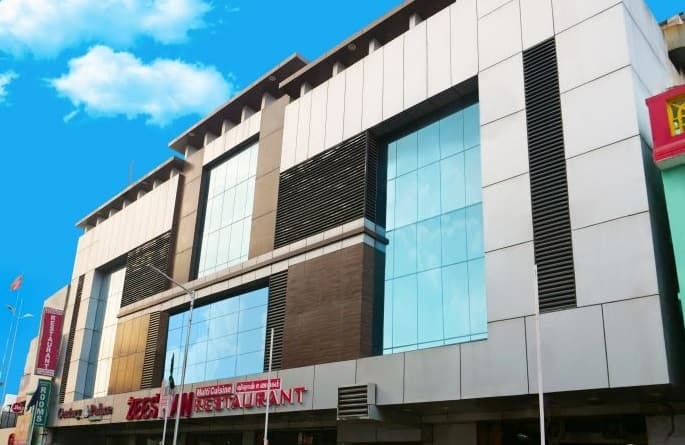 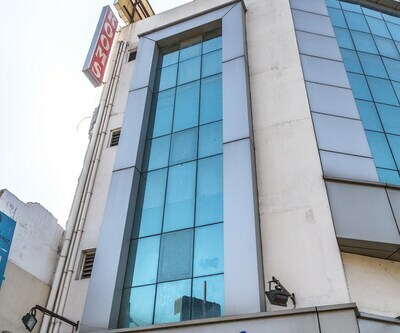 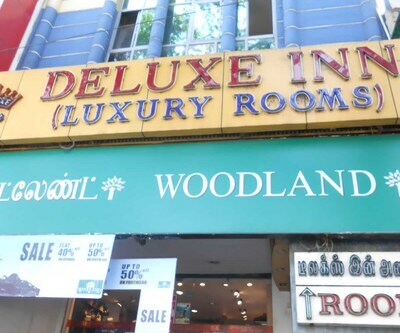 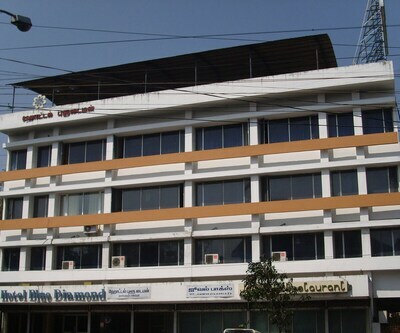 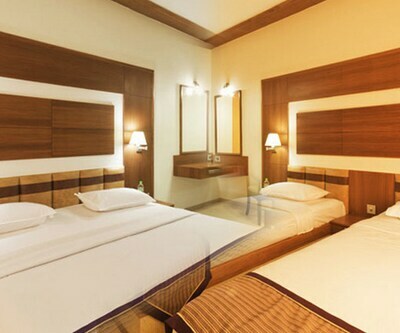 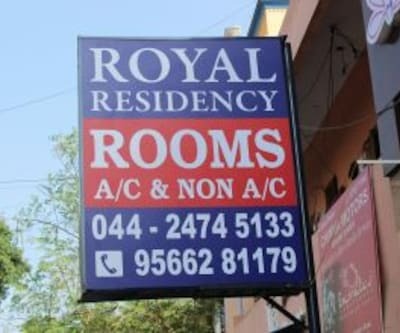 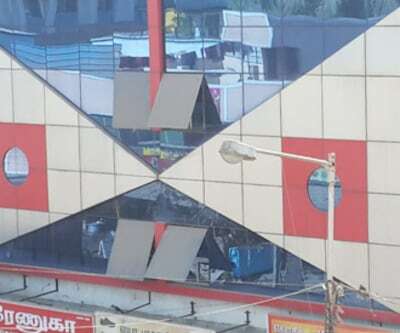 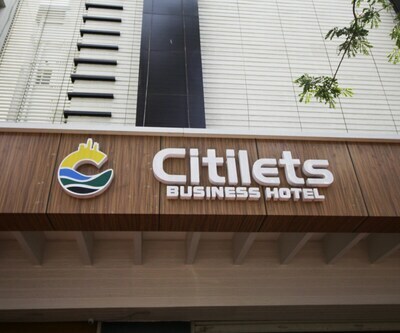 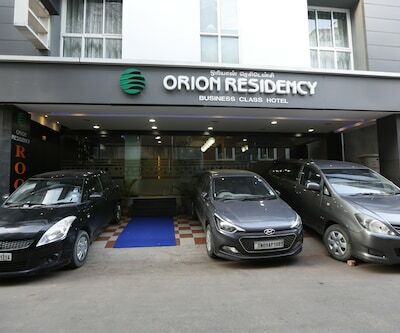 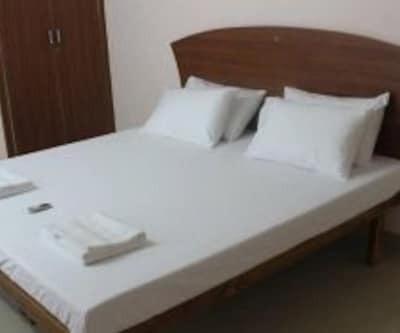 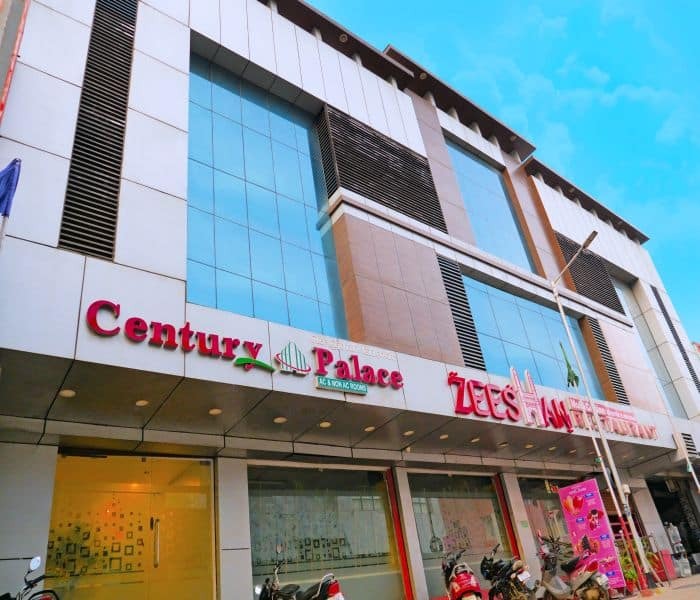 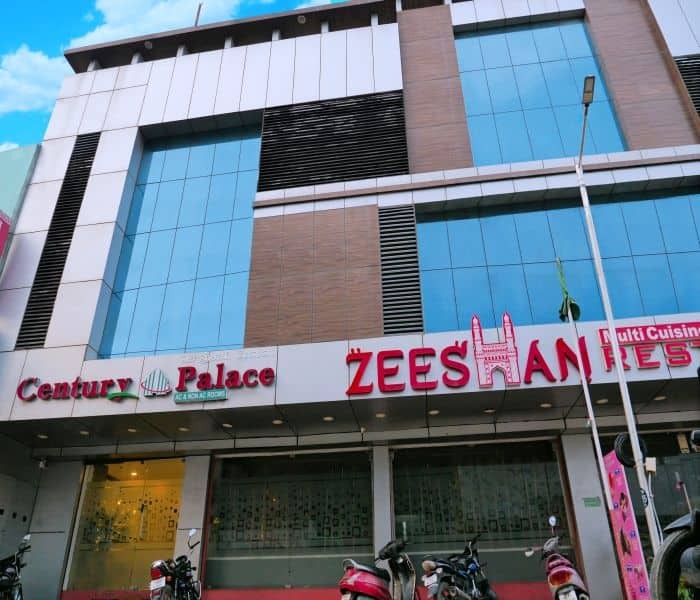 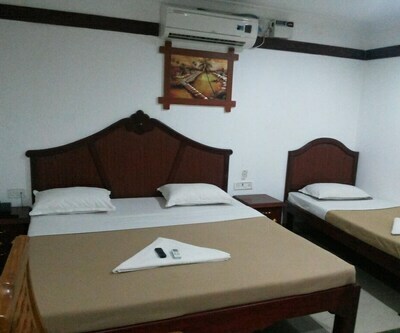 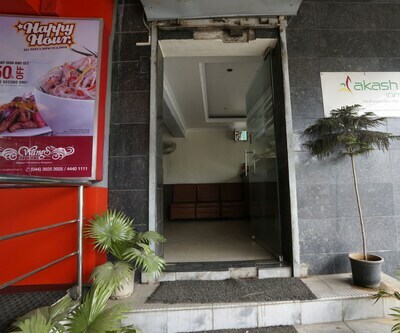 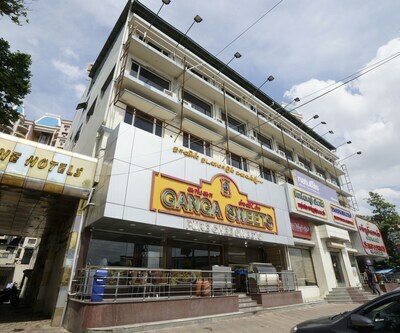 The hotel also has a restaurant.The Chennai International Airport is at 18 km from Hotel Century Palace and the Chennai Central Bus Stand at 18 km. 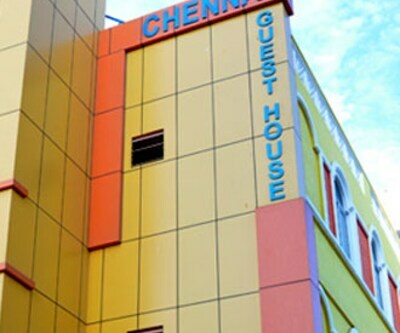 Some of the tourist places that guests can explore are Marina Beach (12 km), St. Thomas Mount (place of worship; 13 km), St. George Fort (16 km), and St. Thomas Basilica (place of worship; 10 km). 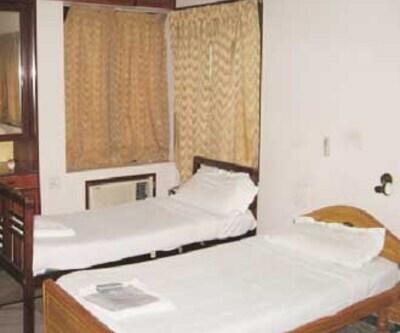 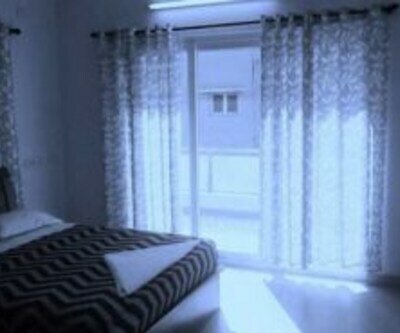 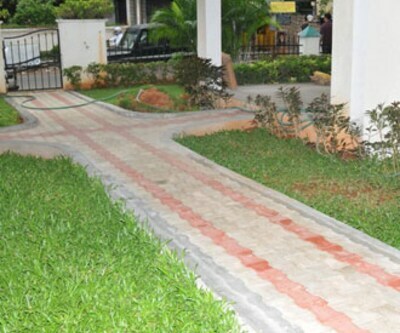 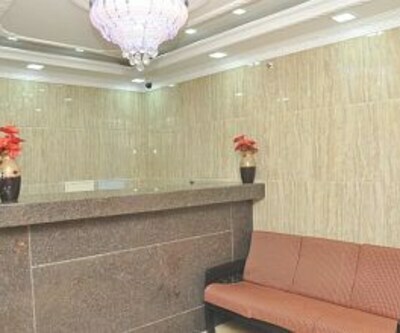 The hotel also provides travel assistance to guests.